We are welcoming 2017 with open arms, but first we’d like to take a moment to share what happened with Buy Nearby in 2016. What was once called “Get Caught Blue-Handed Day” became known as “I Buy Nearby Weekend.” Instead of the first Saturday in October, the annual celebration was extended to the first FULL weekend of October. This gives shoppers the chance to get out on Saturday, Sunday or the entire weekend. Save the Date for the 2017 celebration: October 7-8! 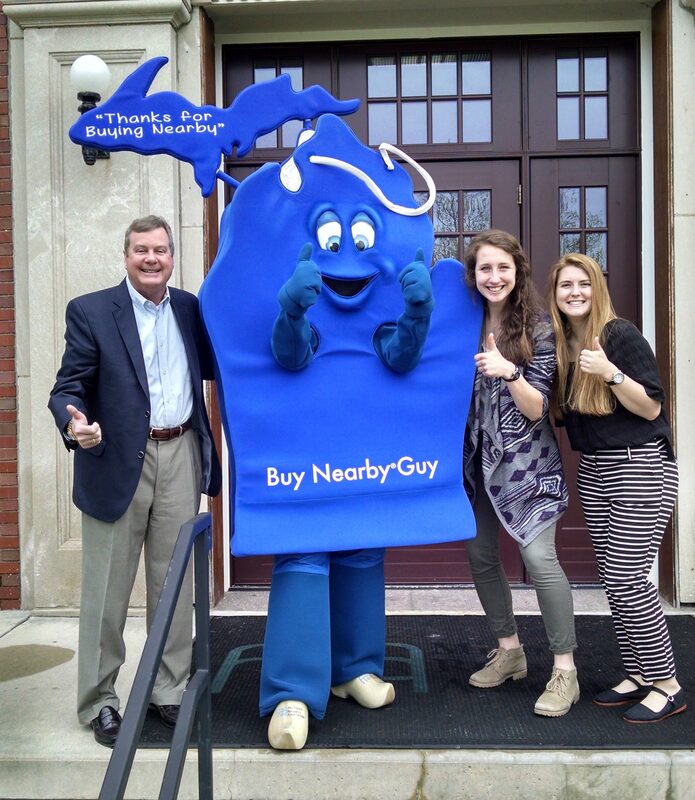 Each year Michigan Retailers Association hires summer interns to help schedule and travel with Buy Nearby Guy to events. In 2016, a total of six students helped to spread the Buy Nearby message. If you are interested in being a 2017 summer intern for Buy Nearby, watch for information posted on our website in the next couple weeks. Watch out state parks: BNG will be coming your way more often! With his new and shiny state park pass, nothing can stop him. 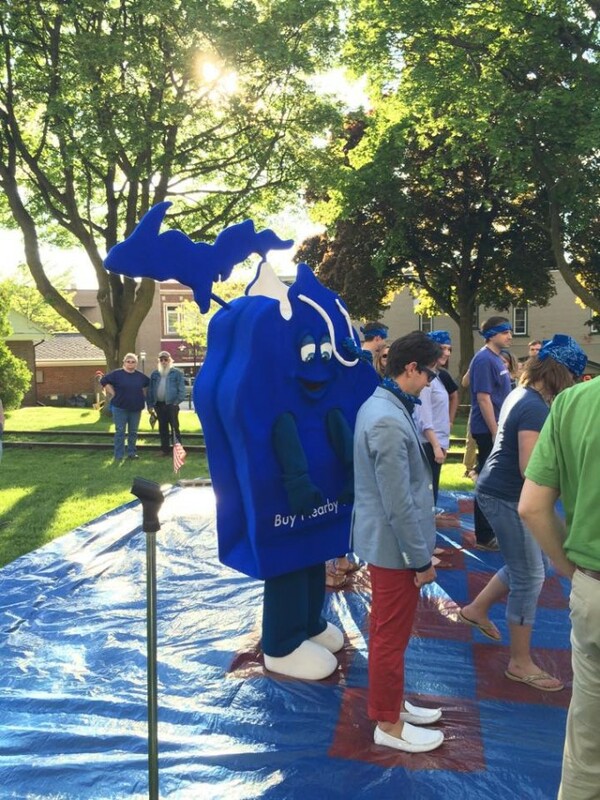 Buy Nearby Guy was invited to Ludington in June to take part in its world record attempt to make and eat the longest ice cream sundae. Even with temperatures in the high 80s, the town of Ludington and House of Flavors were able to achieve their quest. 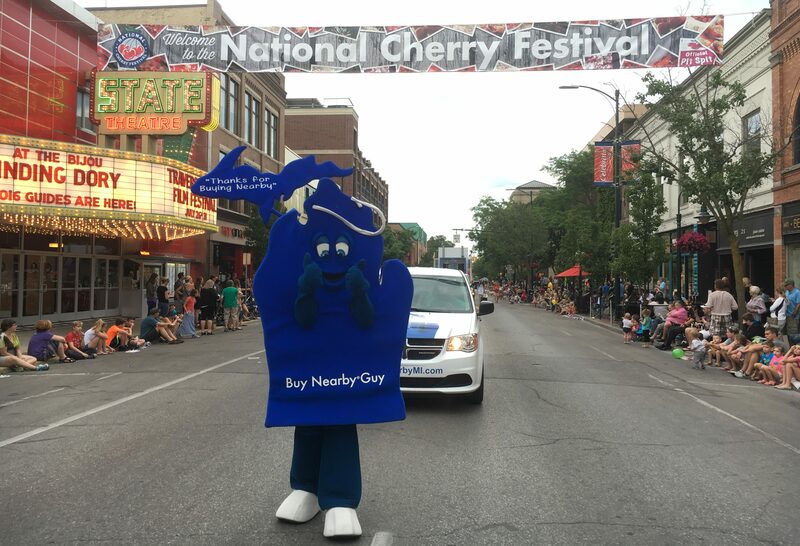 With thousands surrounding him, Buy Nearby Guy made his National Cherry Festival parade debut . The rain cleared up just before the Traverse City parade began, and BNG was ecstatic marching, waving and posing for photos with new friends. News conferences were held in Detroit, Lansing, Kalamazoo and Rochester leading up to I Buy Nearby Weekend. The news conferences held at downtown businesses focused attention on the campaign and helped spread the news about the upcoming celebration. 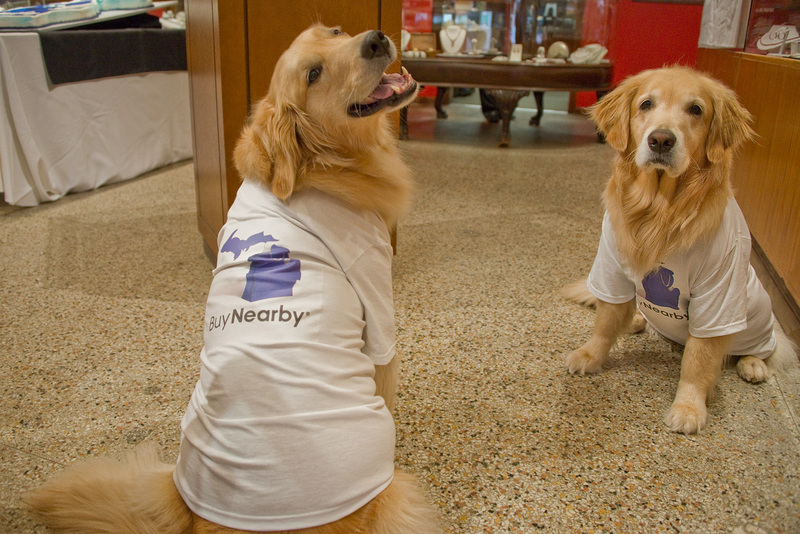 One news conference, in Lansing, included a ginormous Buy Nearby Guy cake and cute dogs with Buy Nearby outfits. 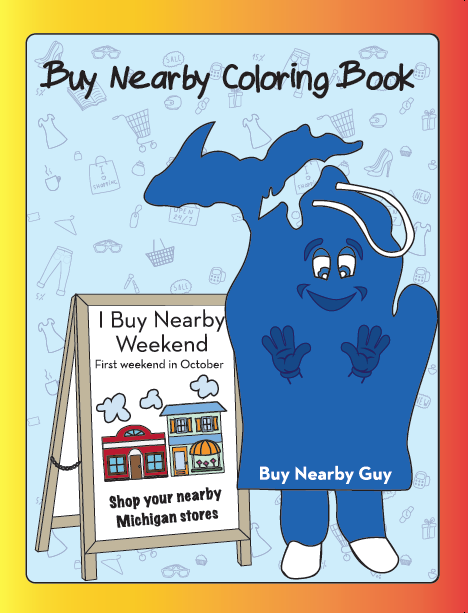 New for 2016, Michigan Retailers Association produced a coloring book starring BNG! Kids can get their own copy if they find BNG at a local event. The coloring book is also available to retailers to hand out to shoppers, so get your stash today! 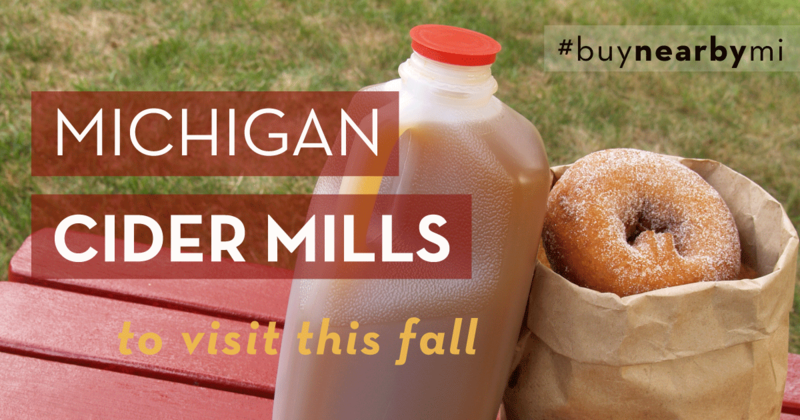 Buy Nearby Guy set out on quite the weekend journey to encourage shoppers to get out and #buynearbymi on October 1-2. From Marquette to Monroe to Wayne to Northville to Marshall, and from Birmingham to New Baltimore, the celebration was had by all. The Michigan Retailers Association even picked a random winner from shoppers who used the #ibuynearby on their social media to win $500! What an incentive to Buy Nearby all year round! 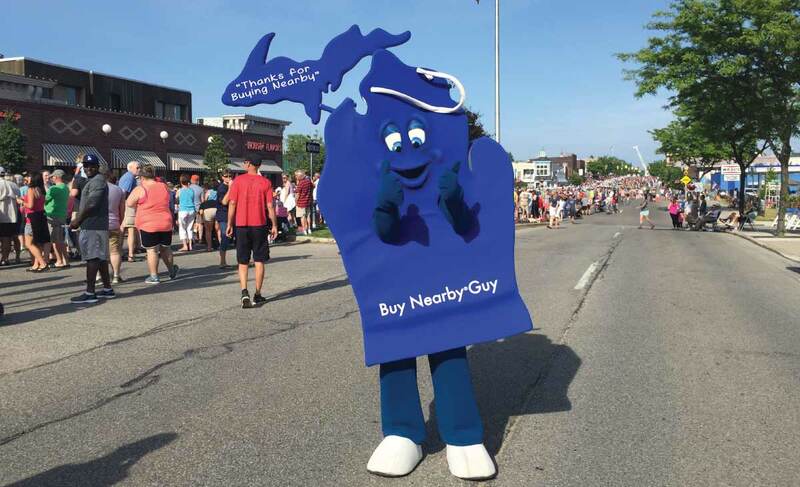 In 2016, the Buy Nearby team attended 84 community events, traveling more than 10,000 miles to spread the message about the importance of buying from stores and websites in Michigan. Buy Nearby Guy is currently at the “spa” (the Parade Company in Detroit, where he was born in 2014) getting cleaned, tightened and fitted for a new pair of shoes. 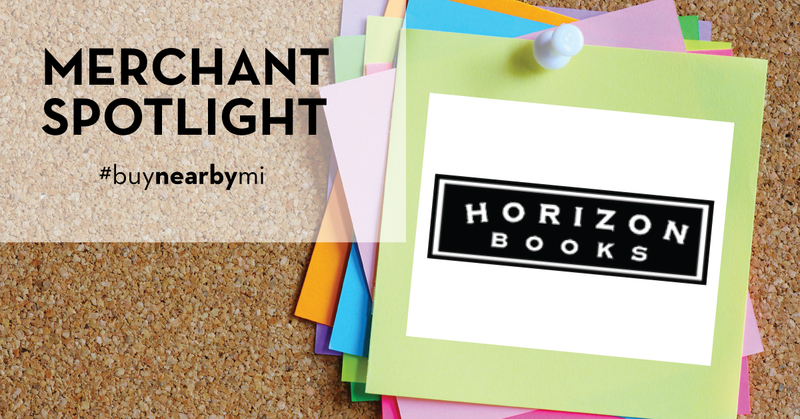 As 2017 starts to gear up, stay tuned for scheduled events and new Buy Nearby promotional materials.